Volkswagen is ending worldwide production of its iconic Beetle, the model once so popular in North America that it prompted the German car maker to build its first factory on the continent in the 1960s. The last one will roll off the line from the company’s factory in the state of Puebla, Mexico in July 2019. The Beetle played the starring role of Herbie in the 1968 Disney film The Love Bug. The sentient race car sporting red, white and blue racing stripes from the front to the back bumper headlined several follow-up films and a television series. Beetle buying in the US peaked the same year of the original Disney movie at about 423 000 units sold. The car became a phenomenon again in the 1990s when VW brought it back after a 20-year lapse. Putting the Beetle out to pasture allows VW to produce more of the other models built in Puebla, including the Jetta sedan and Tiguan SUV. But the car may not go away for good: Diess has pondered reviving the Beetle as a fully electric car to tap the model’s popular culture cachet. VW has touted the upcoming I.D. Neo hatchback being rolled out in 2020 as the potential new Beetle for the electric vehicle age. 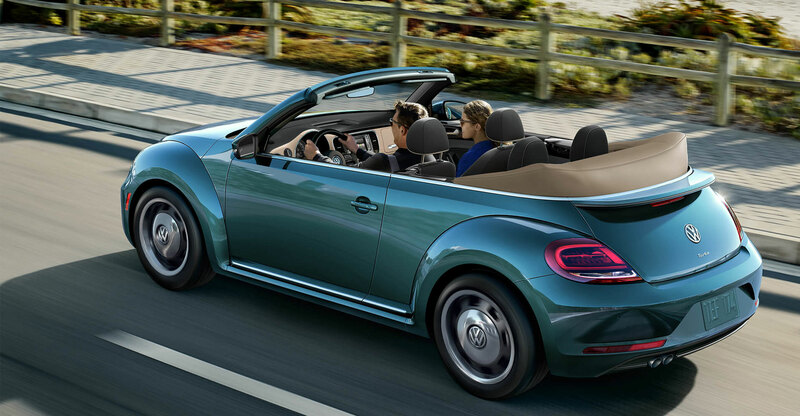 “The loss of the Beetle after three generations, over nearly seven decades, will evoke a host of emotions from the Beetle’s many devoted fans,” Hinrich Woebcken, CEO of Volkswagen’s US sales unit, said in a statement. While there are no immediate plans to replace the car with a next-generation version, he pointed to the I.D. Buzz — a modern interpretation of the legendary VW Bus — to hint that the Beetle could one day make a comeback.